Unreel worked with NESN to design and implement the virtual environment. 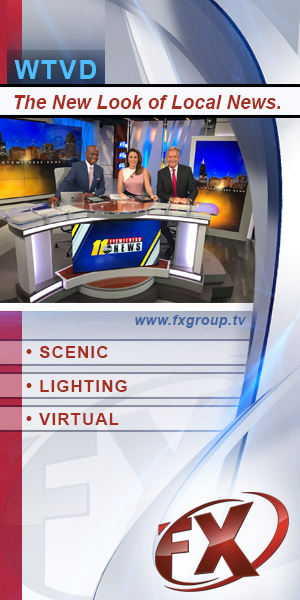 Unreel has previously worked with NBC News on its election coverage, CNBC and ESPN on virtual insert graphics and Fox Sports on virtual studios for soccer programs. The set is a collaboration between NESN and Unreel’s design team, UX Design. NESN also matched the new virtual space with a new graphics package and toolkit. “This gives them tremendous flexibility both in terms of design and the ability to create new revenue streams through virtual advertising,” said Lacombe. Through the design, NESN wanted to convey a feeling of Boston. 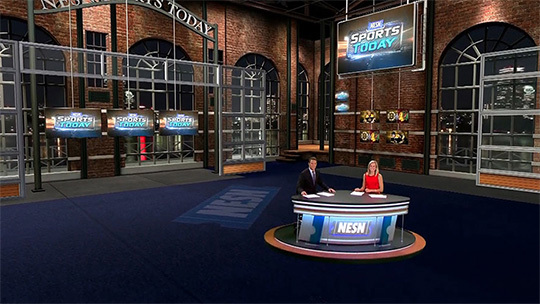 Brick, large windows and a loft like feel complete the virtual space, which has been strategically designed to allow easy customization for NESN’s various sports properties and for virtual advertising and sponsorship integration. 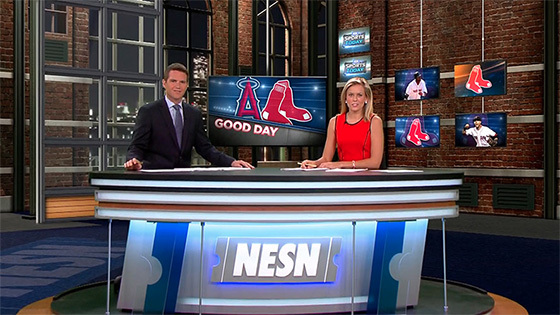 “Sports Today” replaced “NESN Daily,” which also used a virtual studio.